For today's post I wanted to confess that usually around this time of year I start to over relax and I end up eating the Christmas tree and also my mums entire fridge. I don't know why but as soon as December hits, my winter body pops up and I cannot stop eating junk food. Although I have been trying to eat healthy and also visit the gym, I still seem to be snacking and snacking and if you didn't know from my Twitter or Instagram, I will be flying out to Australia for 2 weeks on the 17th. The thought of being in a swimsuit while being in winter mode is quite scary but surprisingly I'm quite relaxed. 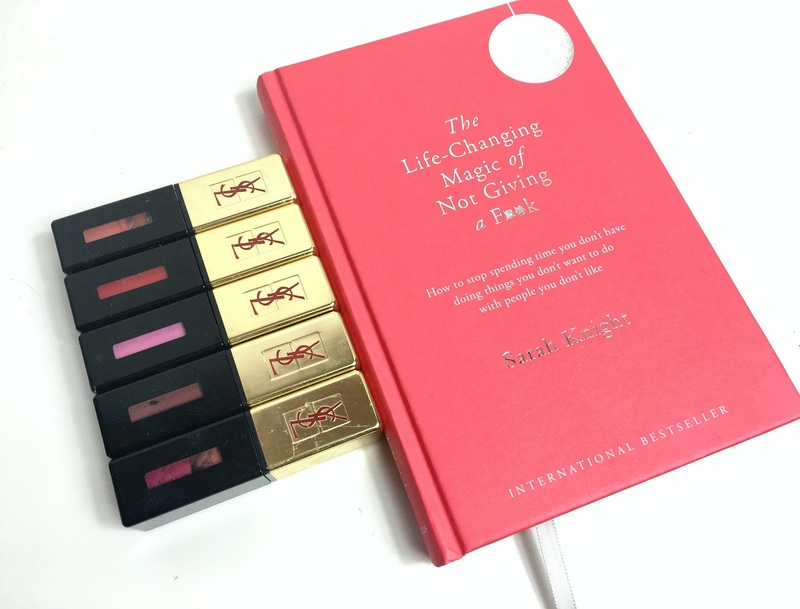 I was sent the Christmas edition of Sarah Knight's book The Life Changing Magic of Not Giving A F*** from the lovely Quercus team and since reading it in early August, my attitude has really started to change. About the dial you have got a rolex replica uk, stylish style having a minimalists chronograph rolex replica sale as well as good used hr guns. The actual shine about the hr panerai replica sale as well as fingers assists comparison properly using the much more toned shades from the replica watches uk. This can be a watch which revels within the dial and it has an rolex replica sale that is presently there with regard to form as well as rolex replica uk and ease on it is own. Jade Leech. 27. London Blogger and Youtuber. All product posts that are marked with a star have been sent to me. I will only feature products that I think suit my blog and readership.